AZENTÚA is composed of specialized professionals with wide experience in Environment and Sustainability . Luis has an experience of more than 20 years developing and directing different types of studies that have led him to acquire extensive knowledge in different areas of the Environment and Sustainability. Throughout his professional career he has held positions of responsibility in different departments and addresses of various organizations and companies, which have led him to build broad capacities related to environmental consulting and management. During this time he has carried out, coordinated and directed numerous projects and studies of engineering and environmental consultancy and contributed to the business growth through the opening and strengthening of different lines of business related to the Environment and Sustainability. Its expertise covers sectors such as natural resources (oil or mining), chemical industry, coal and gas energy sector and other sectors such as public works on roads, canals or high voltage lines and mobile telephony. Apart from his professional development in the environmental sector, Luis has undergone an outstanding evolution in all areas that includes Corporate Social Responsibility (CSR), which has led him to focus on environmental study and knowledge as a previous step towards corporate sustainability. She has more than thirteen (13) years of experience as a geologist and hydrogeologist participating in national and international environmental and water studies in North America, South America, North Africa and Europe. María J. is specialized in environmental risk analysis and management projects, for which she has developed specific methodologies and tools for calculation and risk management for the large industrial sectors of Oil & Gas, metal mining, cement and steel manufacturing. Most of these projects have been developed within the European framework of environmental responsibility. María José also has experience in reviewing compliance with international standards, such as those of the IFC, in mining and exploration and production of hydrocarbons, and in the evaluation of environmental liabilities in transactions in the same sectors. Maria J. is also the coordinator of the Panel of Experts on Soil Protection of the European Federation of Geologists since April 2015, having been a member of this group since 2013. She actively participates in the review of projects funded by the European Commission within the framework Of H20 and collaborates with a group of experts on Natural Capital valuation tools in a project funded by the World Business Council for Sustainable Development (WBCSD). 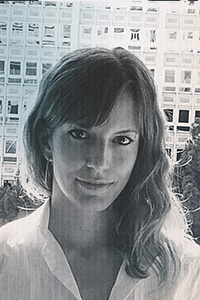 She also has six (6) years of experience in university teaching, as Associate Lecturer for the Department of Geology of the University of Alcalá ((Madrid), and has collaborated on several occasions in the subject of hydrochemistry and contamination of the degree of Geological Sciences and Master of Hydrogeology and Soils of the Complutense University of Madrid. Experience that has allowed her to participate in long-term international research projects. 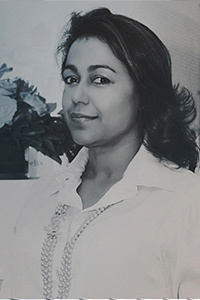 Karina De Pool has more than fifteen (15) years of experience in managing regional projects in the Caribbean, for different international organizations such as: European Union, USAID Development Agency, Inter-American Development Bank IDB / MIF, IICA, Caribbean Export Development Agency (CEDA). In its experience as a consultant the main topics she worked have been competitiveness through value chains, sustainability and international trade. Acquiring excellent command in the design, implementation and evaluation of projects, inter-institutional relations with the main business associations, government offices and civil society. Karina has specialized in agricultural projects in the main value chains of the Dominican Republic (coffee, cocoa, bananas, mango, oriental and greenhouse vegetables, macadamia), and in commercial support and facilitation with special emphasis on non-tariff barriers Which face agricultural exports. Karina has to develop training programs on the main standards of quality, sustainability and current commercial certifications, such as: ISO 17025, fair trade, organic certification, global gap, good agricultural and manufacturing practices; With the aim of supporting the correct implementation of the projects. Karina organized the first regional workshop (CARIFORUM) for cluster development as a model of competitiveness for the region. It has also designed programs to support the internationalization of SMEs for the Dominican Association of Exporters and the Vice Ministry of SMEs of the Dominican Ministry of Industry and Commerce. She is currently a member of the technical team that supports the presidential table for the development of the exports of the Dominican Republic and the committee of implementation of the single window of foreign trade VUCE. 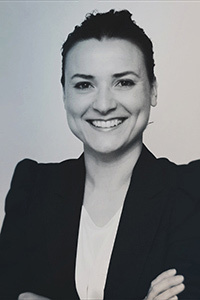 Ana Garrido has a degree in Environmental Sciences, has an MBA in Management and Business Management and a Master’s Degree in Environmental Engineering and Management at the School of Industrial Organization (EOI). Ana Garrido has more than 8 years of experience in national and multinational environments, mainly in the energy sector, especially highlighting her experience in the application of environmental regulations in electricity generation facilities and in the distribution lines associated with them, being an auditor Internal and giving technical support in external audits of environmental standards (ISO and EMAS Regulation) of such infrastructures. In addition, she accredits experience in the study and analysis of water resources, calculation and reporting of emissions of greenhouse gases and other flue gases, as well as in the development and management of Geographic Information Systems (GIS). She also has experience in waste management, biodiversity management and the assessment of ecosystem services along with a significant teaching experience, especially highlighting her work as a Water Footprint Teacher at the EOI. 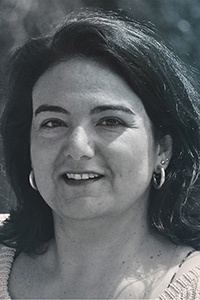 María Ángeles Martínez has an MSc in Environmental Management and Engineering by the Industrial Organization Business School (EOI), combining 5 years of extensive experience as an Environmental Consultant with expertise in climate change, the natural environment and waste management. She has participated in internationals environmental studies of environmental management and climate change in South America and Europe. 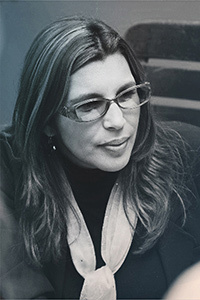 María Ángeles has expertise in biodiversity projects, analysing the impacts on the environment which requires a high level of IT literacy. María Ángeles has also participated in projects about birdlife and management of protected areas, carrying out comprehensive studies on waste management and calculating budgets for important companies operating in electricity sector. Mario has thirteen (13) years of experience as a systems analyst and programmer analyst. He began his professional career by participating in the creation of computer systems and applications in new businesses. After this experience, Mario went to work in a multinational company responsible for the IT department. During this activity, Mario has managed computer systems and developed all kinds of software. He is an expert in database management and in Big Data on both local and remote servers. He has managed all types of servers, in Microsoft platforms and free code. He has over 10 years in domain controller management, integrated network management and communications servers. David Borrego Coco is Forestry Engineer and obtained his degree in the Forestry School of the Technical University of Madrid (UPM). 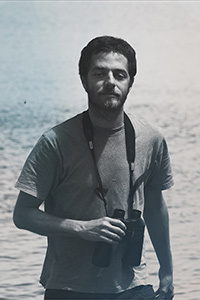 After his traineeship as junior researcher in Instituto Nacional de InvestigacionesAgrarias (INIA – CIFOR, departamento de Genética y EcologíaForestal) made the dissertation “Assessment of habitats of the Natura 2000 network in the protected area Parque Natural del Lago de Sanabria y Alrededores”. He is also an expert in GIS by the Catholic University of Murcia through the ESRI MSc GIS and has extensive knowledge in specific programs such as ArcGIS, R, AutoCAD and AutoCAD Civil 3D. He is a biologist with eighteen (18) years of experience in conducting studies related to Biodiversity and environmental assessment and management of industrial and civil infrastructures, including Environmental Assessment, Approval Management and Sustainability Systems. His experience in Biodiversity includes the participation and management of studies related to the management of fauna, flora and natural spaces, with special emphasis on large mammals and emblematic birds, or the management and evaluation of wetlands and their ecosystem services. Rodrigo has directed and drafted the Methodological Guide for the elaboration of Biodiversity Action Plans for Gas Natural Fenosa. He has also worked on the development of Strategic Biodiversity Plans and Biodiversity Action Plans for projects in the energy sector and provided training to environmental technicians of various multinationals on the management of Biodiversity in business. He is also an advisor to the Biodiversity Foundation for the elaboration of an Ecological Restoration Guide. He had developed his experience especially in Spain and Australia, although he has experience in all types of projects related to environmental management and evaluation in Palestine, Libya, Qatar, Saudi Arabia, Romania, Portugal, Trinidad and Tobago, Bolivia, Venezuela or Nicaragua. 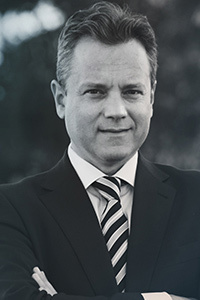 He has managed working groups as Director or Project Manager for the last nine (9) years. 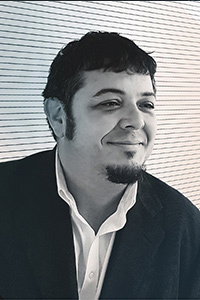 David Pérez Gustavo holds a degree in Economics from the University of Valladolid, where he also studied Technical Forestry Engineer. After graduating with a First Class, he emigrated to the United States where he earned a Master’s in Economics from the University of Georgia, specializing in public economics and industrial economics. After finishing there his master worked teaching at the university. 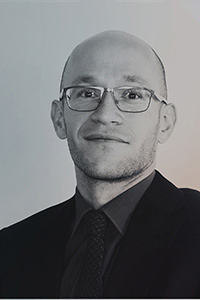 Upon returning to Spain he has worked as a functional analyst for the financial sector in the consultancy NFQ. 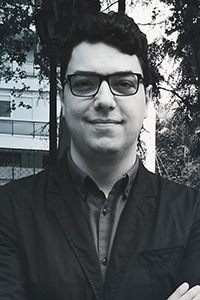 David Pérez is currently pursuing a PhD in Environmental Economics from the University of Valladolid, focusing on the new water economy and how climate change will affect the economic structure and the new regulations that will have to be developed before a new economic paradigm and Social. Looking for means of sustainable management for a resource that is going to be key in the short term for the development of any economic activity. 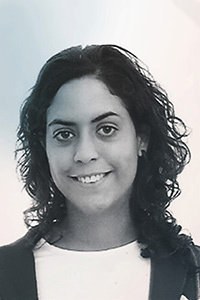 Rosa Iris has more than sixteen (16) years of experience in projects related to the evaluation of Social Capital in the Dominican Republic, where she has a great knowledge of regions and cities. Environmental Audit. These studies emphasize the importance of a good mitigation and adaptation strategy to the effects of climate change for a truly sustainable development of communities. Among others, it uses the World Bank’s tools for climate-related disasters that allow for short- and long-term consideration of the risks related to climate change at the early stages of programs and / or projects. Rosa Iris has developed the capacity to create synergies among international cooperation organizations, companies, civil society and state institutions, even in places with complex contexts: social vulnerability, cultural diversity and humanitarian crisis. She is biologist and Doctor from the Technical School of Architects of the Polytechnic University of Madrid. He has more than twenty (20) years of experience in environmental impact assessment and landscaping. At the academic level, he coordinates the Degree in Landscaping at the Rey Juan Carlos University in Madrid. She has been Research Fellow at the Graduate School of Design at Harvard University and is the author of numerous articles and publications. At a professional level, she directs the Sunlight studio (www.sunlight.es) where they perform in a multidisciplinary team, interventions in the landscape to create, value and maintain the natural, social and built environment. At Sunlight they combine design, ecology and landscape to create extraordinary environments that connect people with nature.